Chag sameach Sukkot and Shabbat Shalom! Hope everyone is having a wonderful holiday. 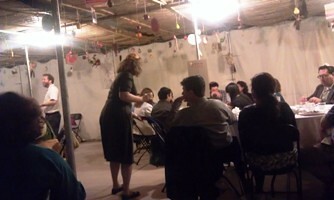 It was a full Sukkah Friday night at Adas Israel when I arrived for davening and dinner. Clergy members Rabbi Steinlauf and Cantor Brown led us in a quick Kiddush before the Ruach Minyan took over. We did Kabbalat Shabbat, ate dinner and talked about the holiday prayers. 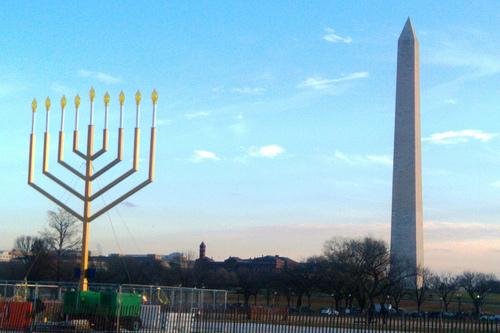 For more Sukkot-related events, check out the Gather the Jews calendar! The yontiff ends on Wednesday.